LOS ANGELES, CA (November 20, 2013) – The sleekly styled Honda FCEV Concept, made its world debut today at the Los Angeles International Auto Show. 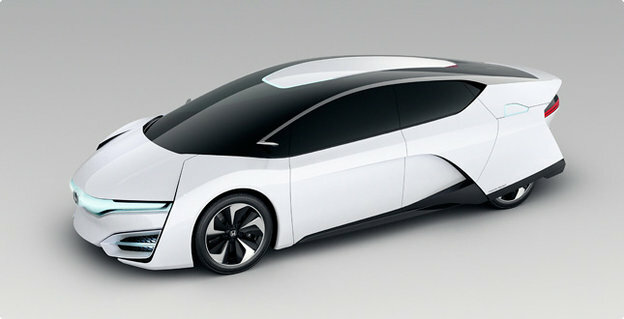 The concept expresses a potential styling direction for Honda’s next-generation fuel-cell vehicle anticipated to launch in the U.S. and Japan in 2015, followed by Europe. Honda’s next generation fuel cell-electric vehicle launching in 2015 will feature the world’s first application of a fuel-cell powertrain packaged completely in the engine room of the vehicle, allowing for efficiencies in cabin space as well as flexibility in the potential application of FC technology to multiple vehicle types in the future.